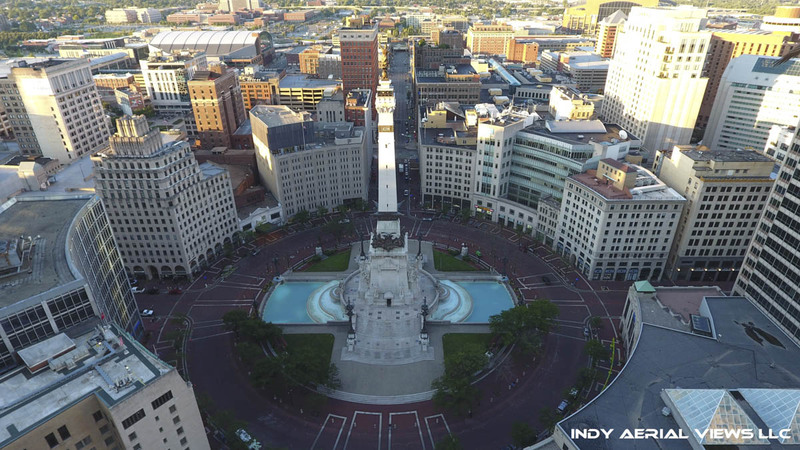 Thank you to Indy Aerial Views LLC for the fantastic aerial photos featured in this article. Traveling with your large foster family can be an overwhelming thought, but with these budget friendly tips for a great trip to Indianapolis, Indiana, your family can make memories to last a lifetime. There’s so much more than the Indy 500 and sports in Indy. With advice from this self-proclaimed Thrifter, Budget Traveler, Foodie, Indy native and Momma to bio and foster kiddos, your family can travel to Indy to experience the not so advertised, insider scoop. These suggestions are tried and true and get this frugal gal’s stamp of approval. You can certainly stay at any number of local hotels, but for a large family, my recommendation is that you heed my advice and rent a larger space. If you have not taken the plunge and stayed at an Airbnb, you are seriously missing out. Airbnb is a wonderful company that allows homeowners to list extra bedrooms or even entire homes to travelers. There is a culture within Airbnb that is very trusting and honest. They have a great review system to help ensure safety and honesty. Airbnb homes are absolutely a fantastic way to travel with a large family on a budget. A family of six can easily occupy a two bedroom home that is $50-99 per night. Tony has a Lovely Little House in the Village of Broadripple in Indianapolis, Indiana. Tony’s place is a duplex and either side can be rented at a very affordable rate. Upon my stay at Tony’s place, I found a cozy queen bed in the master bedroom, and a futon that would accommodate two additional travelers located in a family room. The kitchen, bathroom and washer and dryer are all within a small area of the home, but are perfect for making quick meals and taking care of the necessary business of a family. The fully stocked kitchen is perfect for your family. All you need is food. The living room is a good size with nice furniture and a large flat screen TV with Netflix. There were plenty of towels and lots of little extra toiletries, just in case. Tony’s place is just a quick walk to the Broadripple strip. Being just two blocks away from the strip, you could not ask for a better location or a better price. Broadripple is known for being the party place on the weekends, so you definitely will not want to take a stroll with wee ones on a Friday or Saturday evening. With a large amount of bars and clubs, Broadripple is a ton of fun for the 21+ crowd on the weekends. During the day, it’s peaceful, wholesome, has wonderful restaurants and a fun/funky village type atmosphere. Aside from this quaint, perfectly located home, Tony has a heart for foster children and offers a generous FOSTER FAMILY DISCOUNT. Be sure to send him a private message on his Facebook page to take advantage of this very generous offer. If you are the adventurous type family, be sure to check out one of the 24 parks in Fishers, Indiana. Fishers is about 10 minutes north of Indianapolis. Billericay Park (12690 Promise Rd, Fishers, IN 46038) features a play area, shelter and splash pad. It’s a Fishers favorite, so expect a crowd on a hot day. Flat Fork Creek Park (16141 E 101st St, Fortville, IN 46040) is one of the newest Fishers Parks with three tree house style forts, one of which is ADA accessible. In fact, a huge portion of the park is ADA accessible. After your morning exploring the Fishers parks, cool off at Saxony Beach (13288 Pennington Rd, Fishers, IN 46037). Admission is just $1 for non-residents. This is a man-made beach in the heart of Fishers and the kids are sure to love it! If shopping is your thing, Fishers is also home to the newest IKEA store in Indiana. Look for the Grand Opening in the Fall of 2017. If you are an expert Thrifter (like yours truly) you will want to hit the Fishers Goodwills. There are three within a 4 mile vicinity. The Goodwill at 116th and Olio Road in Fishers boasts apparel and household goods donated by local celebrities and athletic stars. This Goodwill is located just ½ mile north of Geist Reservoir where many celebrities reside in multi-million dollar mansions. After visiting the Goodwill, take a little drive along the reservoir to oooh and ahh with jealously at the massive estates. For dinner, stop in at the Nickle Plate Bar and Grill (8654 E 116th St, Fishers, IN 46038) for a delcious meal. Nickle Plate is just a hop away from the old Fishers Train Station in “old town Fishers” and the food is to die for. On your way back to call it a night, you MUST stop at Handel’s Ice Cream (8760 E 116th St, Fishers, IN 46038-2817) for a delectable double dip. DO NOT under any circumstances pass up on this opportunity. Ranked #1 in the area, Handel’s is a non-negotiable. You can’t travel to Indy and NOT experience the Downtown scene. After a walk around the Soldiers and Sailors Monument, better known to locals as “The Circle,” stop in UNDERNEATH Monument Circle for a FREE tour of the Civil War Museum (One Monument Circle, Soldiers & Sailors Monument, Indianapolis, IN 46204). This is a great educational experience for the whole family and is a great little tour for a quick cool down on a hot day. While in Downtown Indianapolis, plan to spend a day a The Children’s Museum of Indianapolis. Take advantage of the FREE (yes, FREE) The Children’s Museum of Indianapolis foster family membership. The Children’s Museum is remarkable! Your family could easily spend six hours in the museum and still not experience everything. With such a generous foster family discount, be sure to take advantage of this opportunity. Hit the City Market (222 East Market Street, Indianapolis, IN 46204) for all kinds of amazing foods. This is an absolute heavenly experience for Foodies. The selection and electricity in the air is sure to please every traveler in your crew. If you are looking for free entertainment for your children, but would like a little time to catch up on social media, make sure you check out this incredible, huge indoor church play park. Traders Point Christian Church “Park” (6590 S Indianapolis Rd., Whitestown, IN 46075) has an incredible two-story indoor play park and it is completely free. Children can safely run around and have a blast while parents sit down and take a breather after a morning of fun. If you are traveling in the fall or winter, I HIGHLY recommend you give Circle Center Transportation a call and book a Ghost Tour or Christmas Light Tour. Circle City Transportation (317.430.1050) is home to the Original Chicken Limo and they have a variety of large vehicles available for tours. Tell them Jill sent you and they will give you a FOSTER FAMILY DISCOUNT. The Ghost Tours or Christmas light tours are fantastic and you are sure to have a great time. If you want to catch a FREE movie prior to its release in Indy, contact Movie Reviewer Joe Shearer at The Film Yap and tell him Jill sent you. If The Film Yap has a FREE MOVIE SCREENING available during your stay, he can probably hook you up. Be sure to tell him you are a Foster Life reader and he may be able to pull some strings for you. The Carmel-Clay Waterpark (1235 Central Park Dr. E, Carmel, IN 46032) is located just north of Indy in beautiful, Carmel, Indiana. At waterpark ticket prices of $10 per adult and $7 per child, you can send a day enjoying the enormous lazy river, giant waterslides and more. It’s a MUST do and is generally a local’s secret. If you are looking for some eerie fun, contact Garry Ledbetter to take a tour of the former estate of Skiles Test and hear the legend of The House of Blue Lights. The House of Blue Lights is a creepy local legend about Skiles Test and the legend of how he kept his dead wife in a glass coffin in his home in the woods of Fall Creek which was adorned with eerie blue lights. Is the legend true? Once a child whose family was employed by Skiles Test and lived on the property, Garry Ledbetter knows the truth behind the legend. Contact Garry Ledbetter through The House of Blue Lights website to inquire about a tour of the property which is now the home of Skiles Test Park, 6700 Fall Creek Rd, Indianapolis, IN 46220. Tell him Jill with The Foster Life sent you and he will offer you a FOSTER FAMILY DISCOUNT. If spooky fun is your thing, you MUST visit the Historic Hannah House. This home is the most well-known among locals to be haunted and to pack a ton of historical punch. This home was once a stop on the Underground Railroad. The story behind the hauntings is tragic and fascinating. You can take a tour or experience an overnight paranormal stay. This home has much to offer regarding history even if you prefer the ghosts not reveal themselves. If you are an athletic family, Indianapolis and Fishers are adorned with some of the best bicycle trails in Indiana. Check out the Monon Trail for great trails that run through Downtown, Broadripple and the southern tip of Fishers. Fishers is equally adorned with its’ own beautiful expanse of bicycle trails. The 100 Acres Park (4000 Michigan Rd, Indianapolis, IN 46208) is a local’s hot spot. It’s absolutely free, and enormously spectacular with beautiful scenery and fun play areas. With interactive exhibits and lush, well-manicured gardens, this park has great finds for the whole family. Favorite: Yeast Donuts-Don’t get fancy. Get the yeast. Trust me. Do you have favorite free or budget friendly suggestions for travel to Indy? Please share in the comments section.